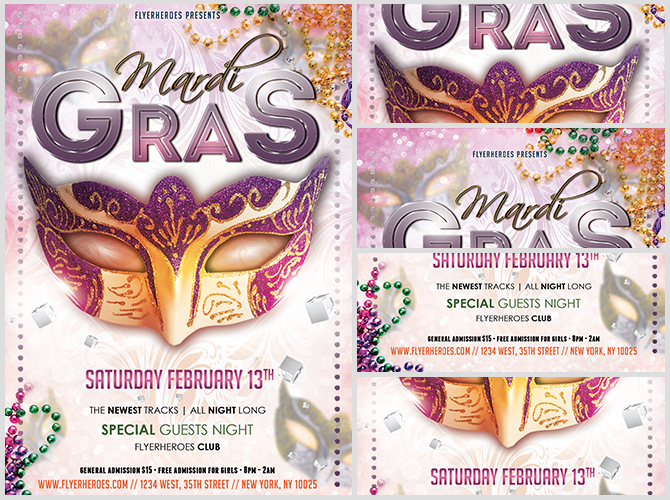 Celebrate Fat Tuesday with our Mardi Gras flyer! 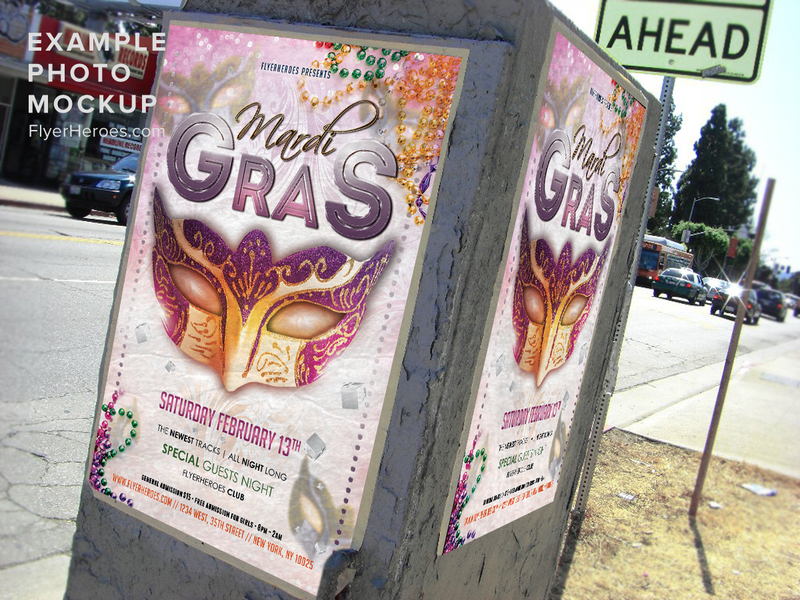 If you want a more modern approach to Mardi Gras, this is the flyer for you. 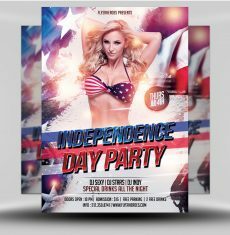 This flyer uses a mask as its focal point, but the edges are sleek and modern. The fonts used are a clean sans serif, with a touch of script for elegance. 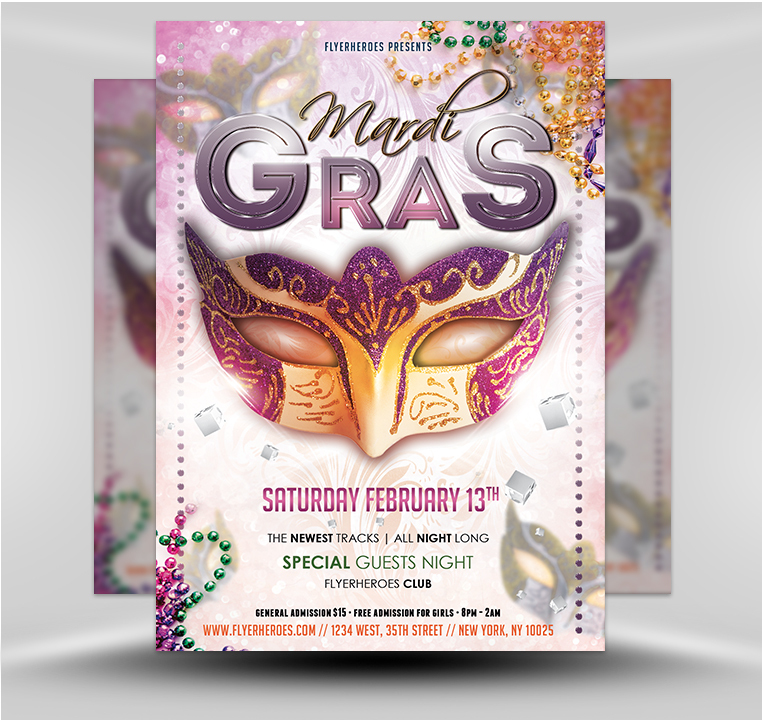 The event title font is extruded, with a reflective steel finish, and decorative flourishes, masks, and beads appear in the flyer corner. Dotted vertical lines on the left and right side frame the image. 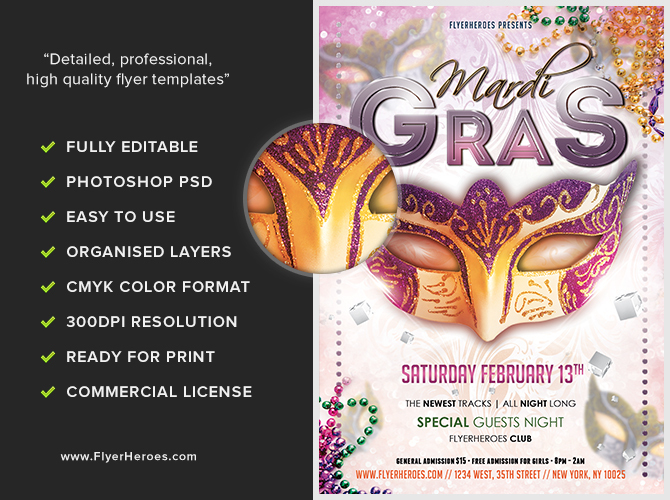 Use our Mardi Gras flyer to celebrate this special event with your customers!